Xiaomi today announced that 40 Xiaomi devices are eligible to receive the MIUI 9 update. Xiaomi had announced the MIUI 9 update It began the rollout of the MIUI 9 global ROM early in November. 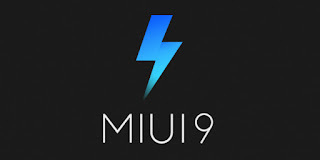 The company has now officially confirmed that it will be bringing the MIUI 9 update to 40 devices. MIUI 9 brings 21 animated icons, specialized customizations for India such as IRCTC Cards in messaging app, 8 new calendar cards in Mi Calendar app to subscribe to and a new festival card, new Theme and more. A brand new Mi Video App with lots of features now supports all popular formats and comes with auto grouping function. IRCTC Card recognizes a generally cluttered SMS PNR and turns it into a card with all information on it. Indian Calendar app comes with subscription cards like Indian festivals cards, panchang calendar and much more.